In this May 2, 2014, file photo copies of Anne Frank's diary are on display at Theater Amsterdam in Amsterdam. A spokesman for HalloweenCostumes.com said Oct. 15, 2017, said the online retailer pulled a costume based on Anne Frank after complaints on social media. 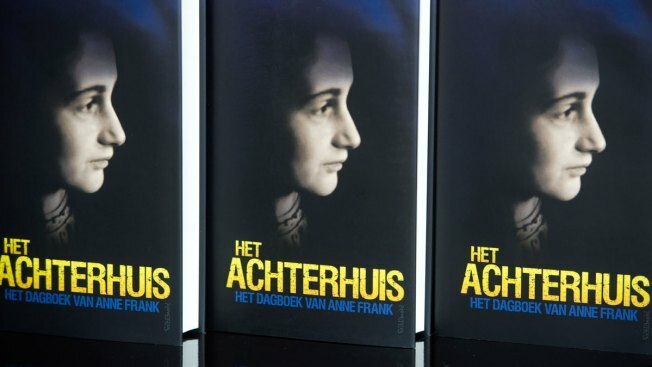 An online retailer has pulled a costume from its website that depicted Holocaust victim Anne Frank. Screenshots of the costume for sale at HalloweenCostumes.com posted to social media show a smiling girl wearing World War II-era clothing and a beret. The costume was quickly criticized on Twitter. Carlos Galindo-Elvira, who leads the Anti-Defamation League's Arizona office, said on Twitter that the costume trivializes Frank's memory. North Mankato, Minnesota-based Fun.com runs the website. The costume had been pulled from the website, spokesman Ross Walker Smith tweeted Sunday. He explained that the company sells costumes for activities other than Halloween, like "school projects and plays." He also apologized for any offense caused by the costume. Anne Frank is known for the diary she wrote while in hiding from the Nazis during the war.